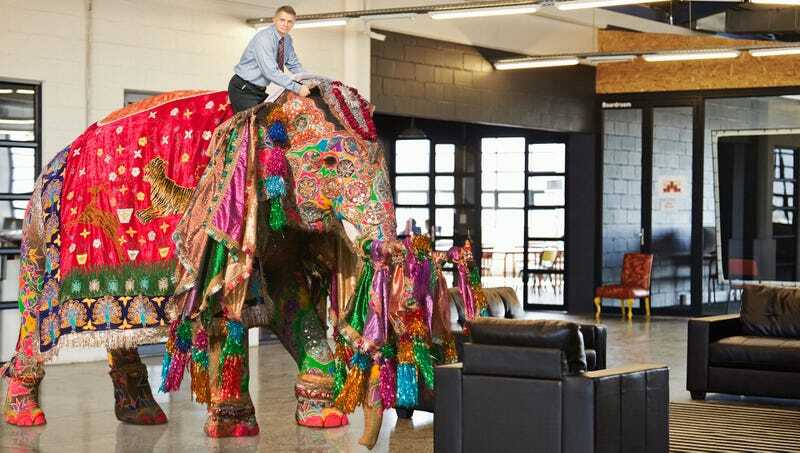 If you’re currently on the job hunt and hoping to nail your next interview, you’re definitely going to want to read up on this latest tip: Job recruiters say riding into an interview on a bejeweled elephant increases your chances of getting hired by as much as 5 percent. Wow. This is a priceless little hack that should go a long way toward sealing the deal at your next interview. According to job recruitment experts, taking a little extra time to acquire an elephant, cover that elephant in jewels, and then ride the elephant gallantly into your next interview just might make the difference between landing your dream job and walking away empty-handed. Obviously, riding an elephant covered in precious gems into a potential employer’s office doesn’t take the place of studying up on the company and practicing interview questions before the big day, but according to experts, crashing into your interviewer’s office on the back of a trumpeting elephant and having a throng of servants scurrying about to lower you from its back before beginning the interview process can sometimes give you a little extra edge in a crowded field of other qualified applicants. Wow. Now that the benefits of making a grand entrance to your interview on a elephant laden with glorious treasures are so clear, it’s time to give it a shot and see if it works for you. Good luck in your job search!